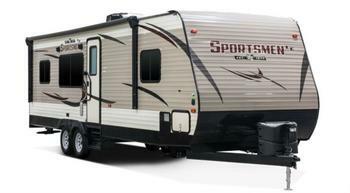 KZRV is recalling 500 model year 2018-2019 KZRV Sportsmen recreational trailers. Propane gas may leak at the back of the outside kitchen cooktop. A gas leak at the outside kitchen cooktop can increase the risk of a fire. The remedy for this recall is still under development. The manufacturer has not yet provided a notification schedule. Owners may contact KZRV customer service at 1-800-768-4016 extension 154 or 153. KZRV's number for this recall is KZ-2018-005.